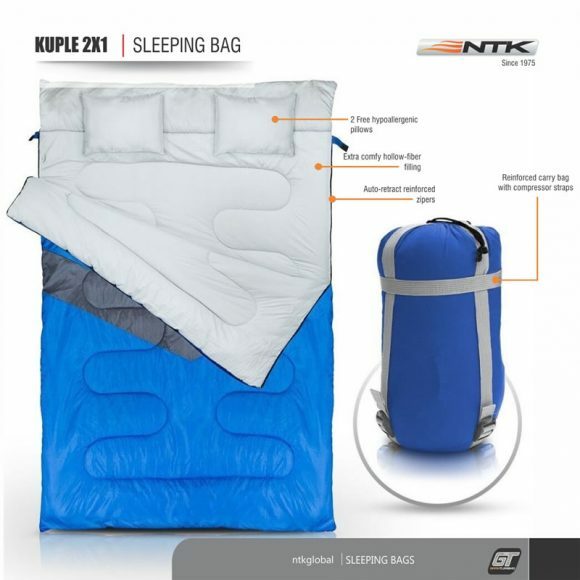 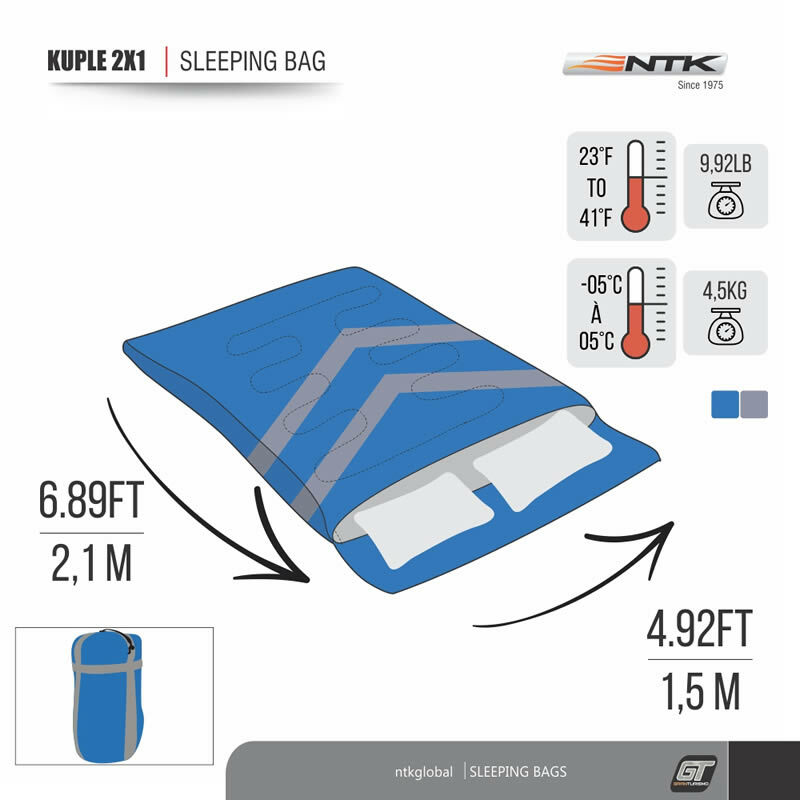 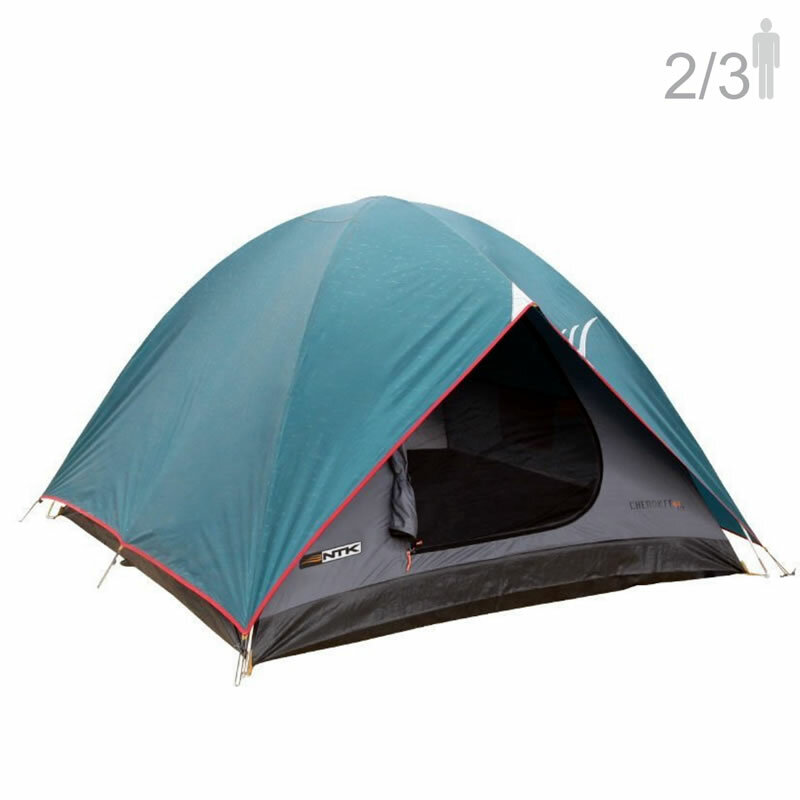 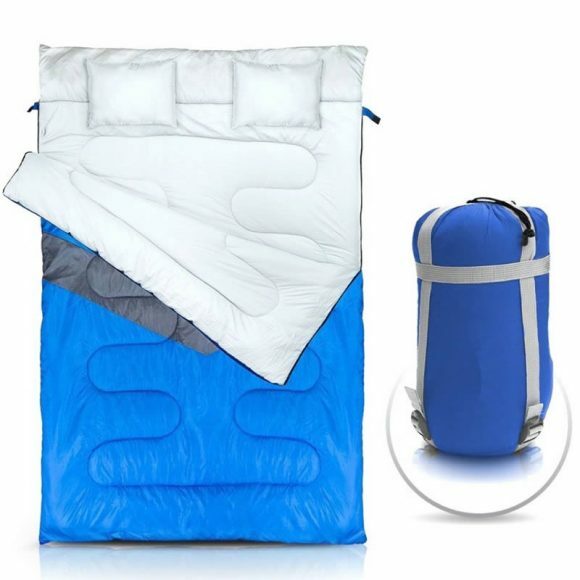 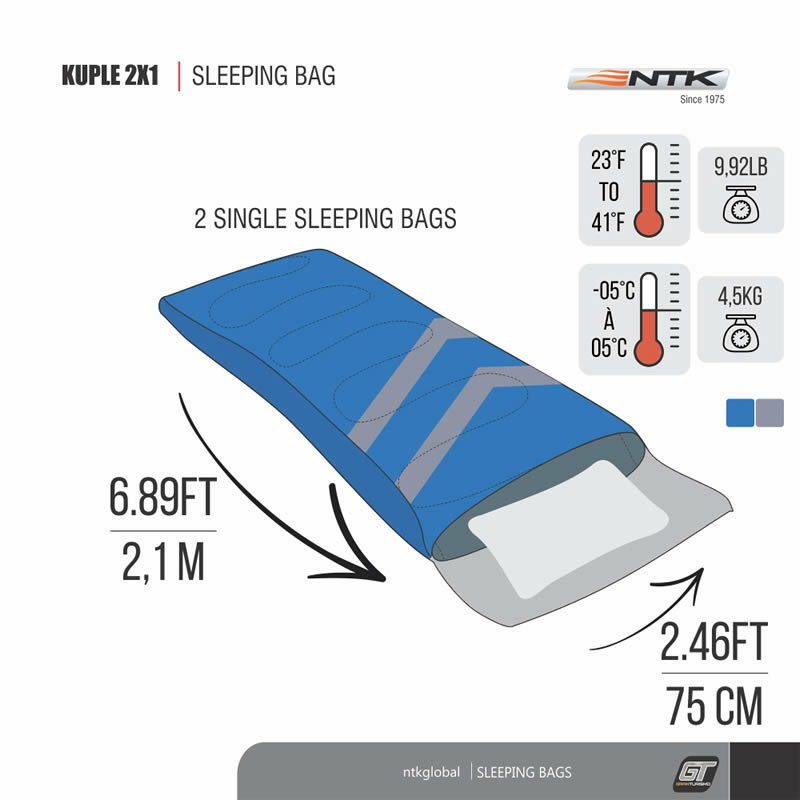 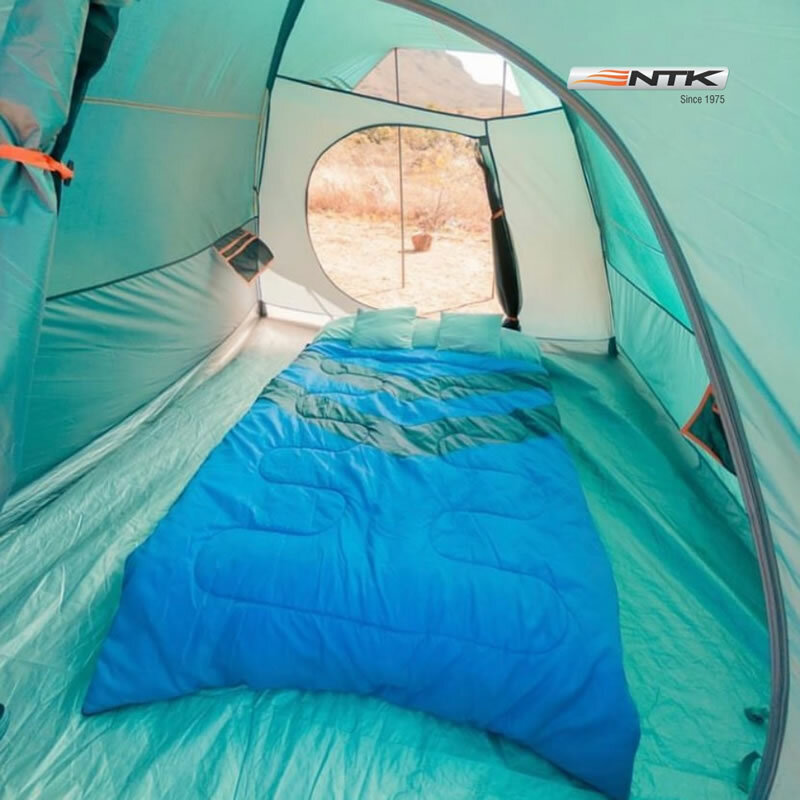 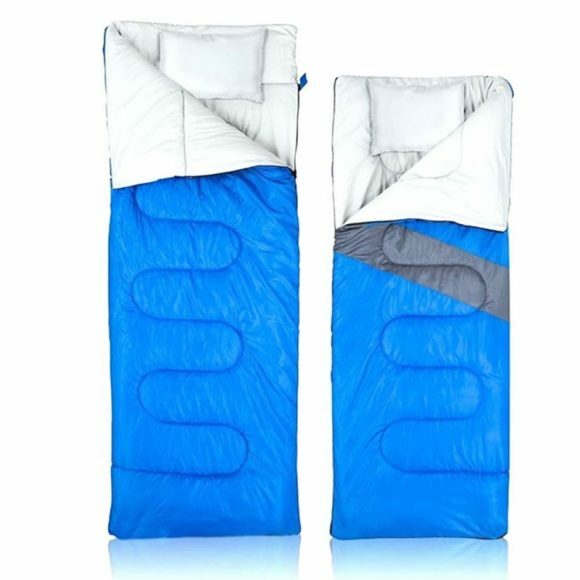 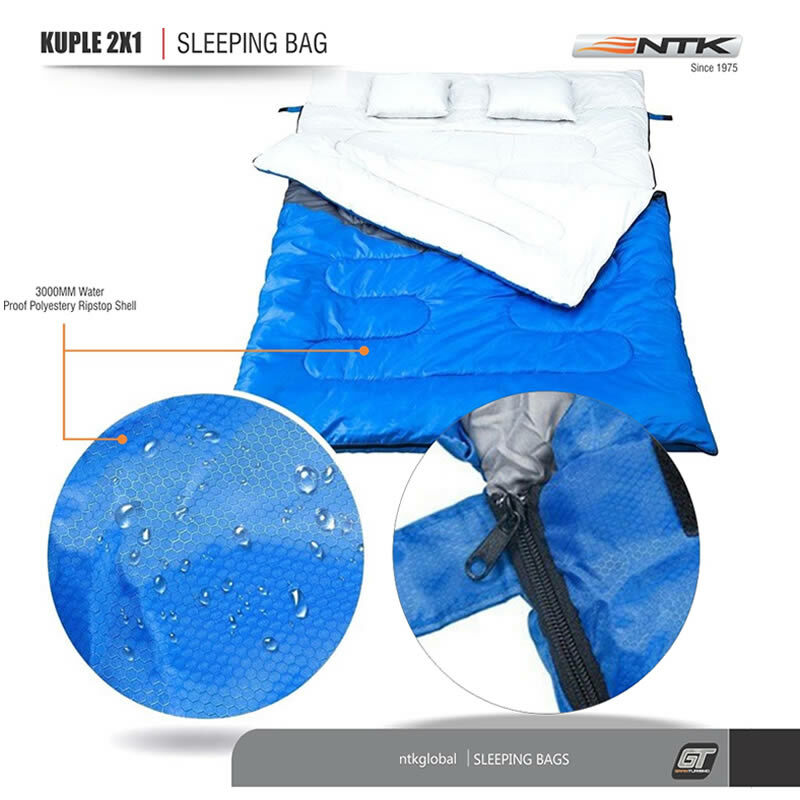 NTK Double 2 in 1 Sleeping Bag with 2 Pillows and a Carrying Bag with Compressor Straps for Camping, Backpacking and Hiking. 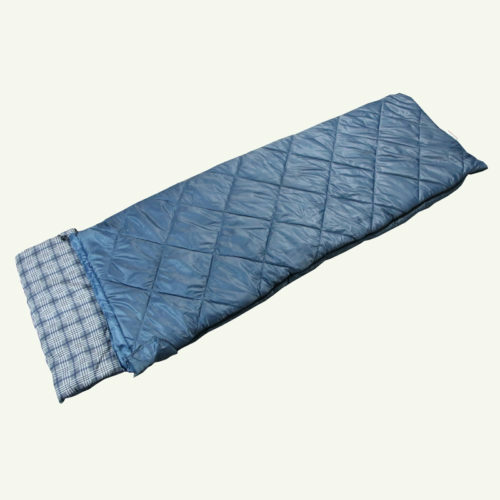 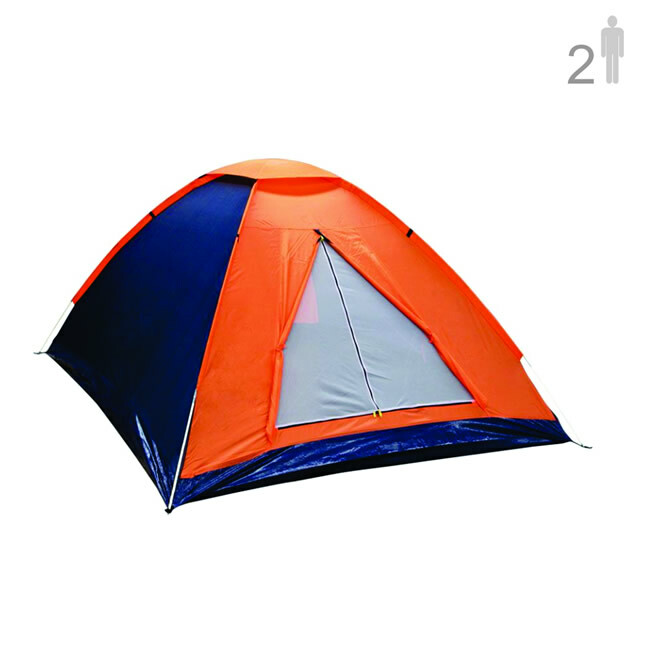 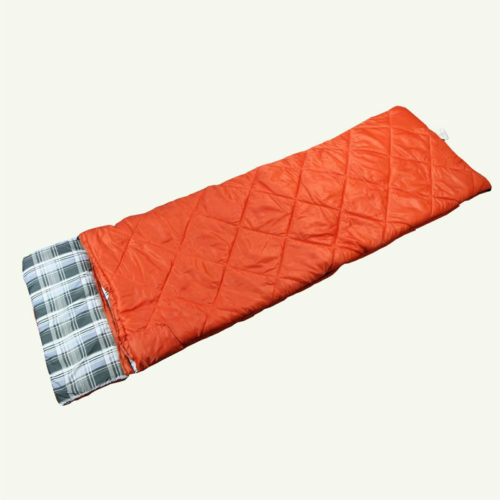 – CAN BE USED AS TWO INDIVIDUAL SLEEPING BAGS – Designed to be used as one large queen size sleeping bag or as two individual sleeping bags. Two free pillows included! 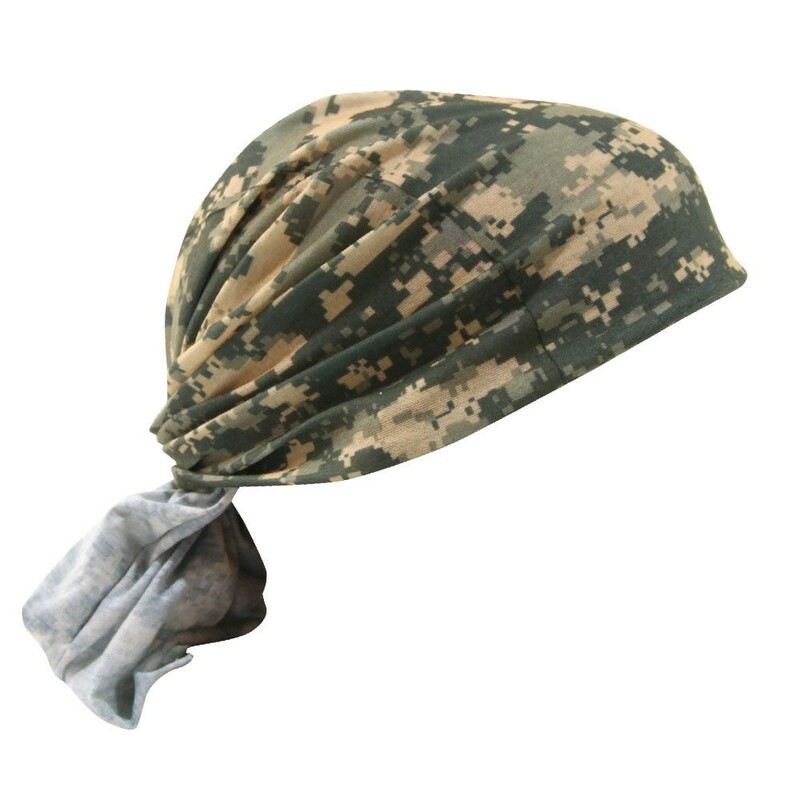 – SHELL: 100% Soft Water Proof Ripstop Polyester 210T that meats CPAI-84 fire retardant shield. 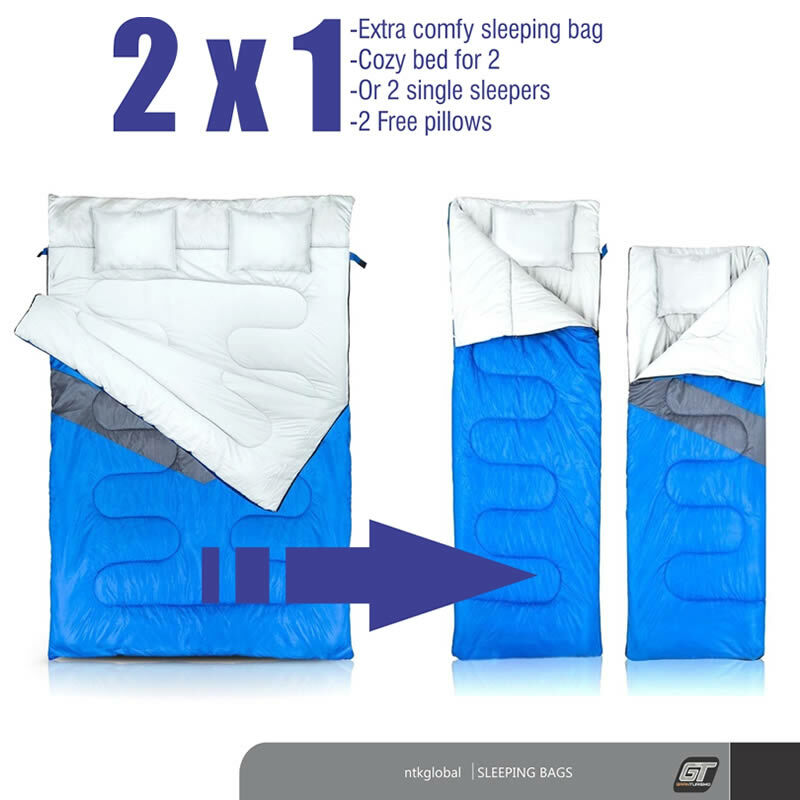 Designed with extra size and filling extra wiggling space and easy coupling. 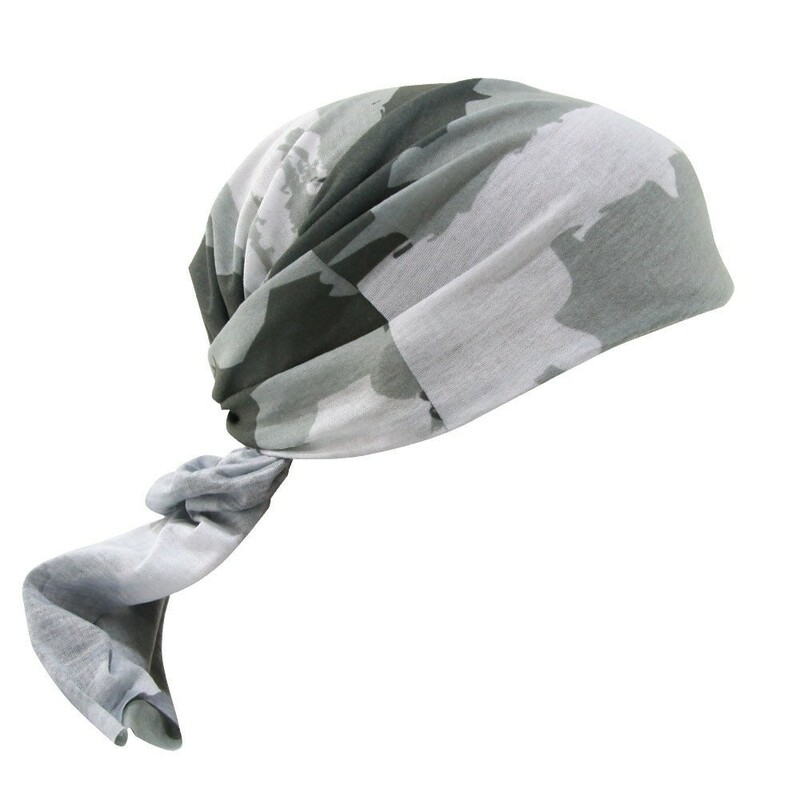 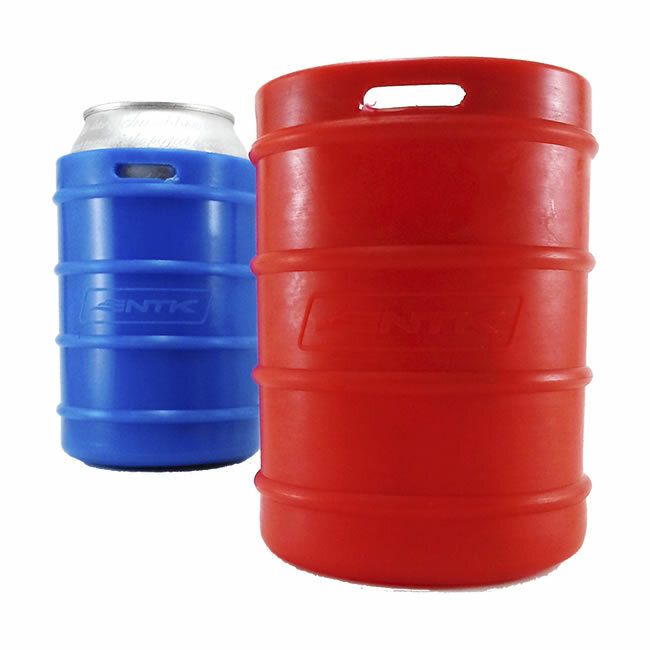 Can easily be wiped clean or machine washed making it versatile and convenient for indoors and outdoors. 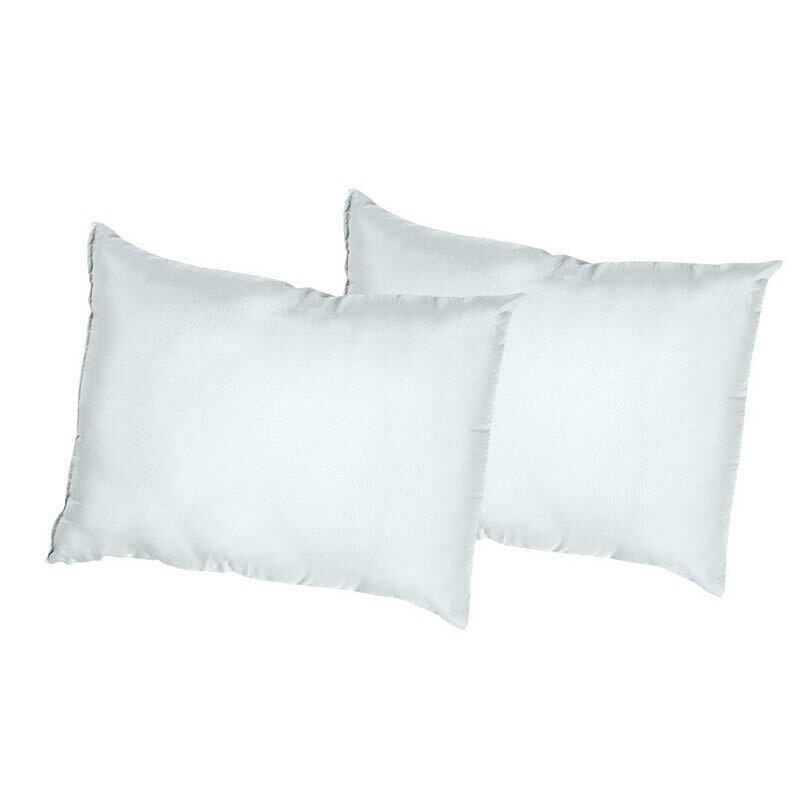 – LINING: The special construction of the fabric, using brushed Poly-Cotton (70% Polyester | 30% Cotton) creates a soft and gentle touch to your skin. 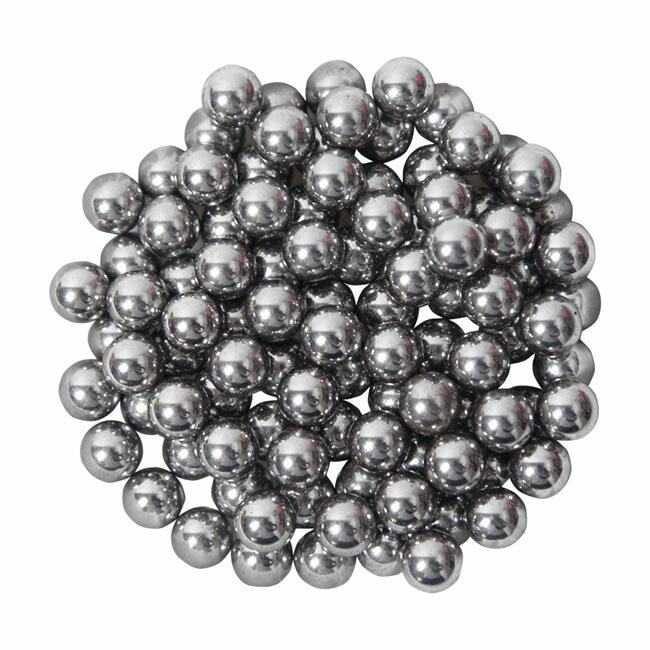 – FILLING: Multi-Channel Hollow Fiber | 400 g/m2. 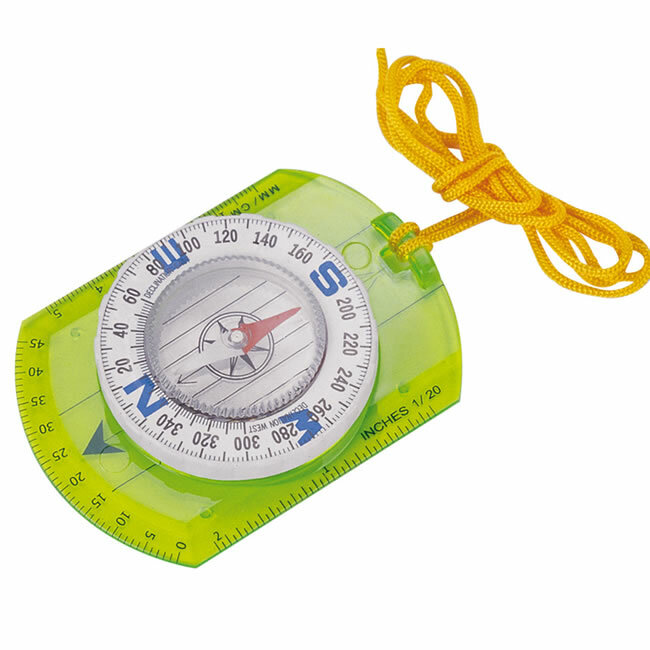 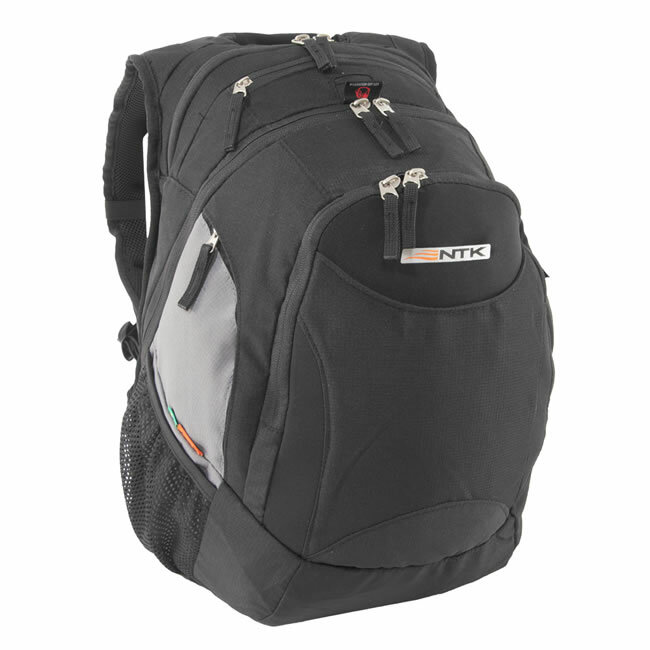 This material is used to ensure the bag is lightweight, durable, and easily portable and highly insulated. 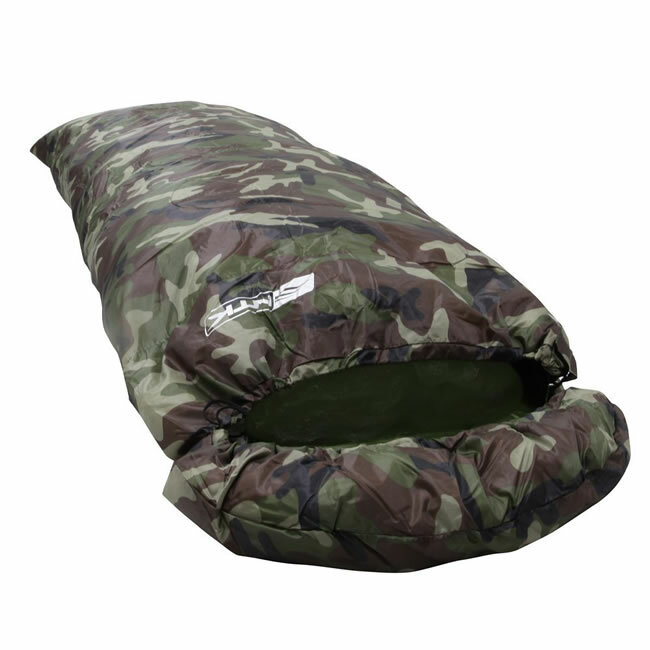 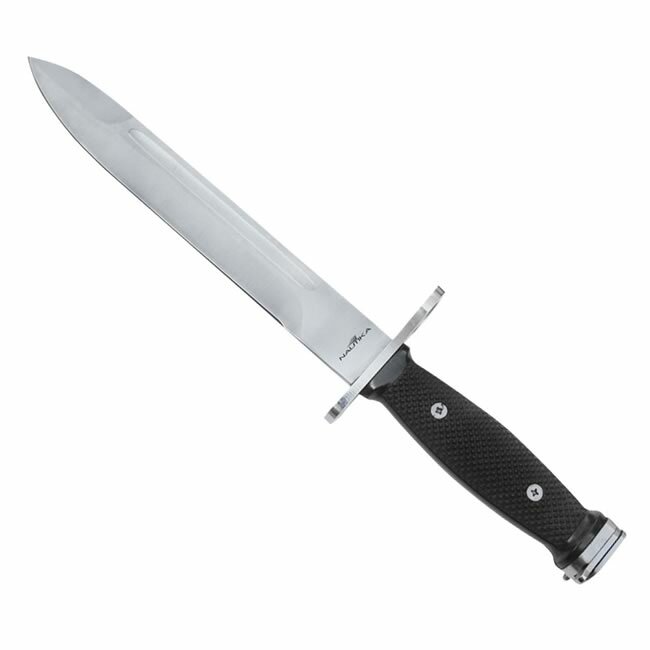 – SUPER WARM AND UNBEATABLE COMFORT: Comfort temperature: 41ºF / Extreme Temperature: 23ºF. 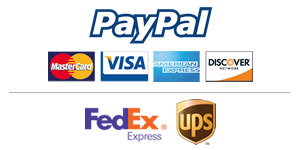 – BACKED UP BY 43 YEARS OF EXPERIENCE: your complete satisfaction is our family goal. 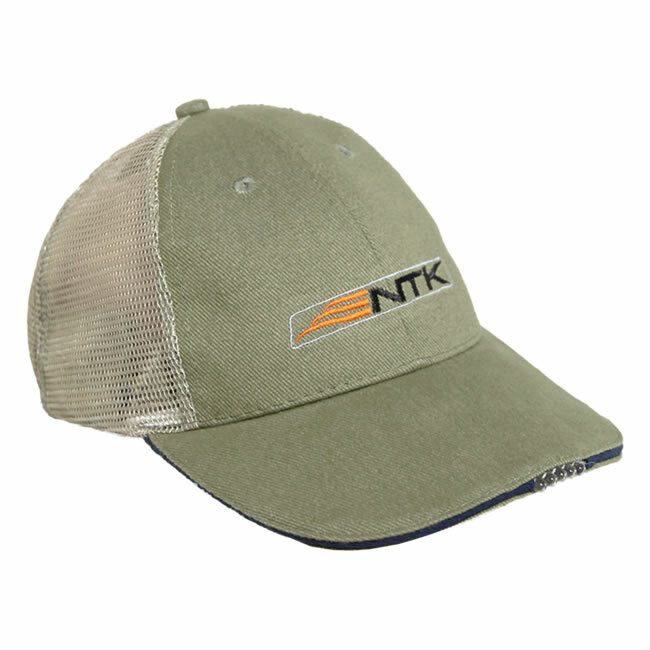 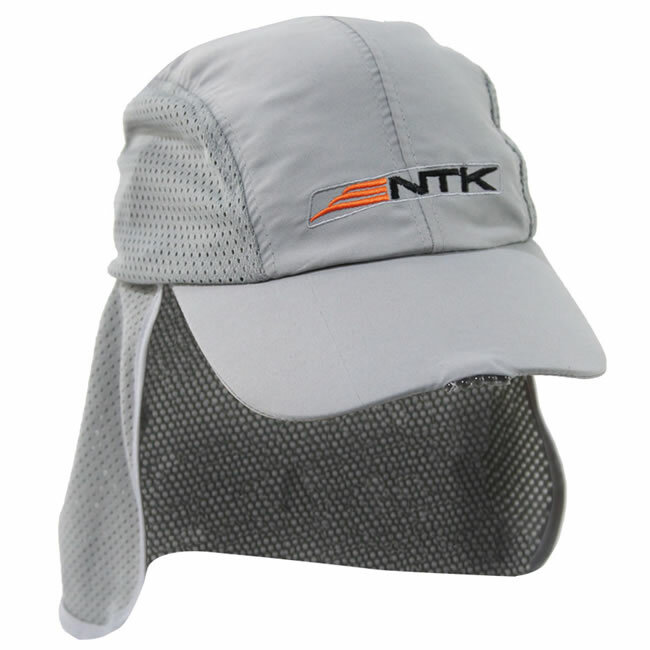 NTK is always available to you and warrants all products.